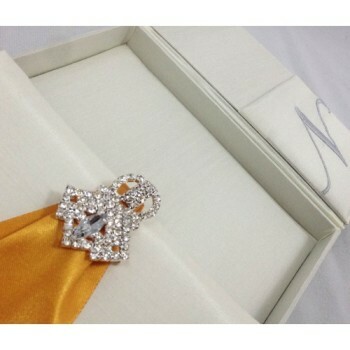 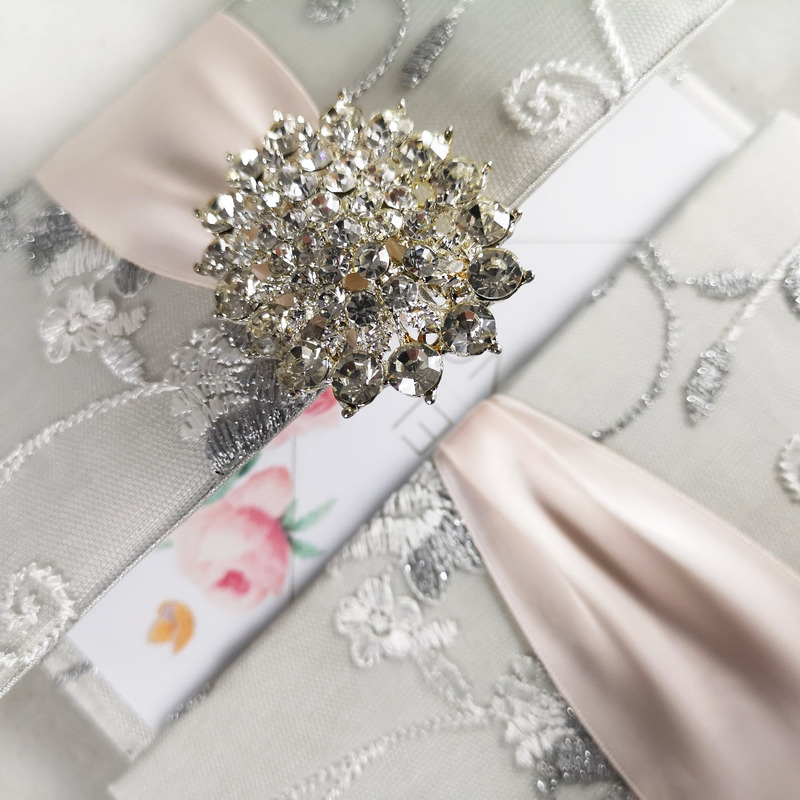 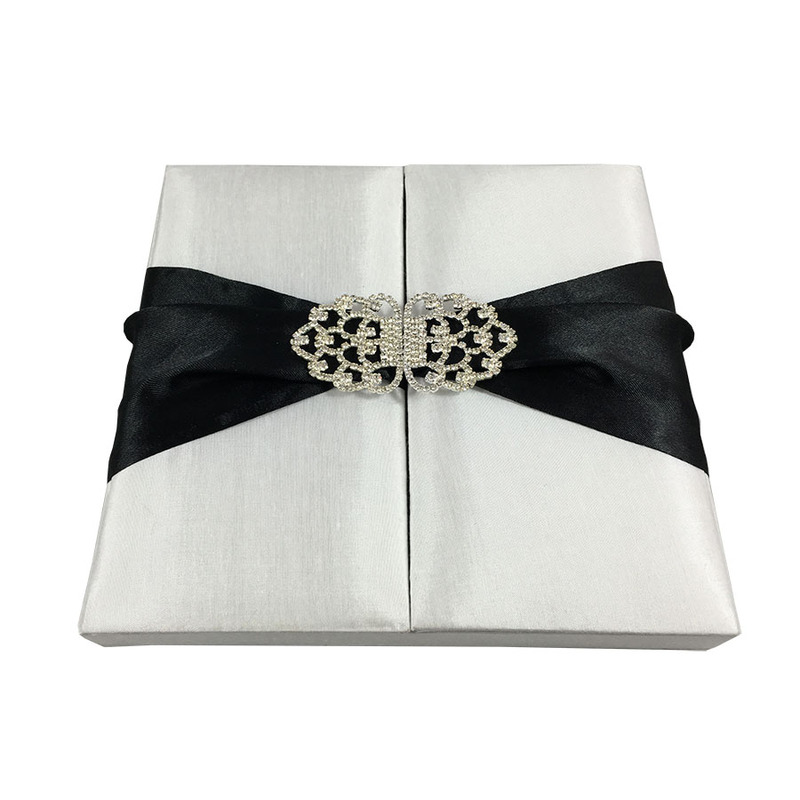 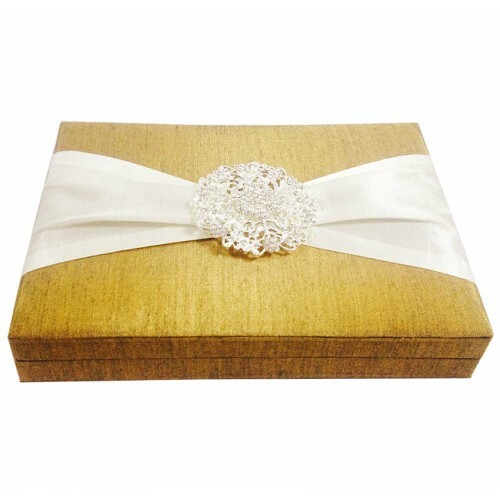 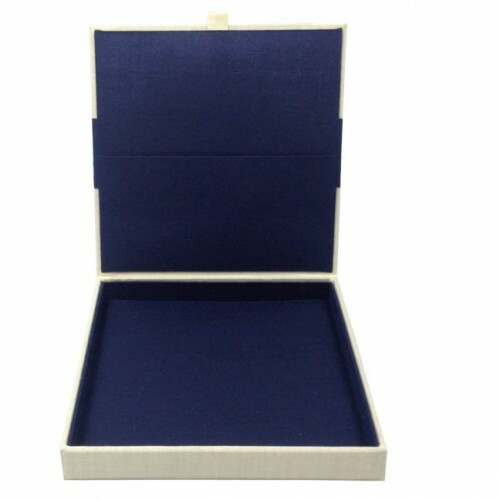 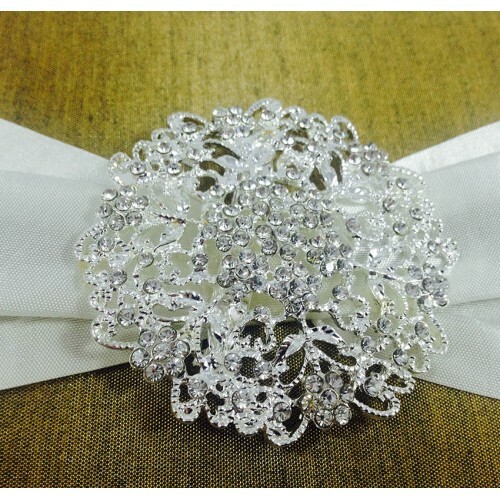 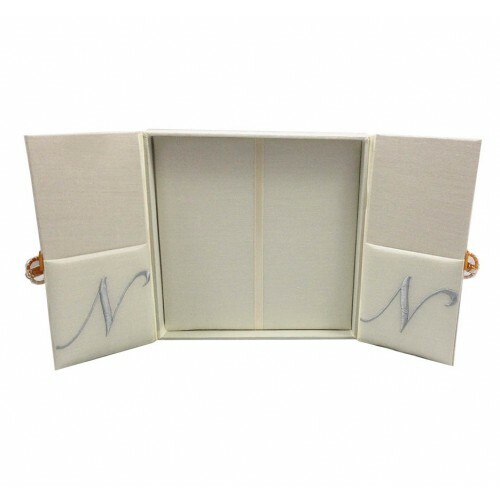 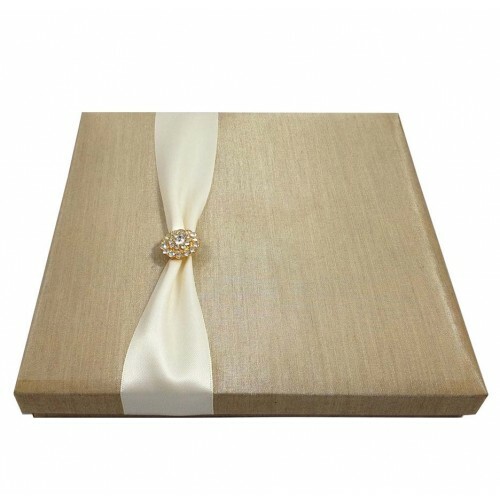 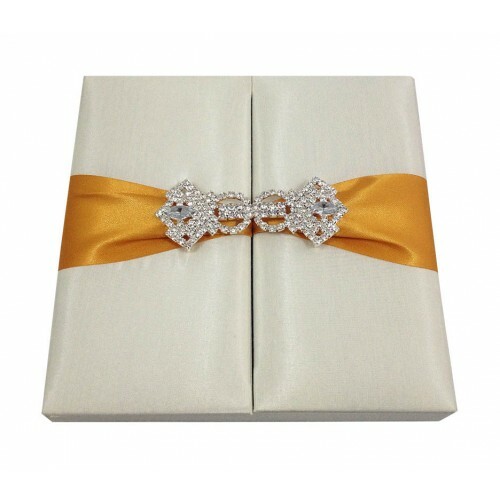 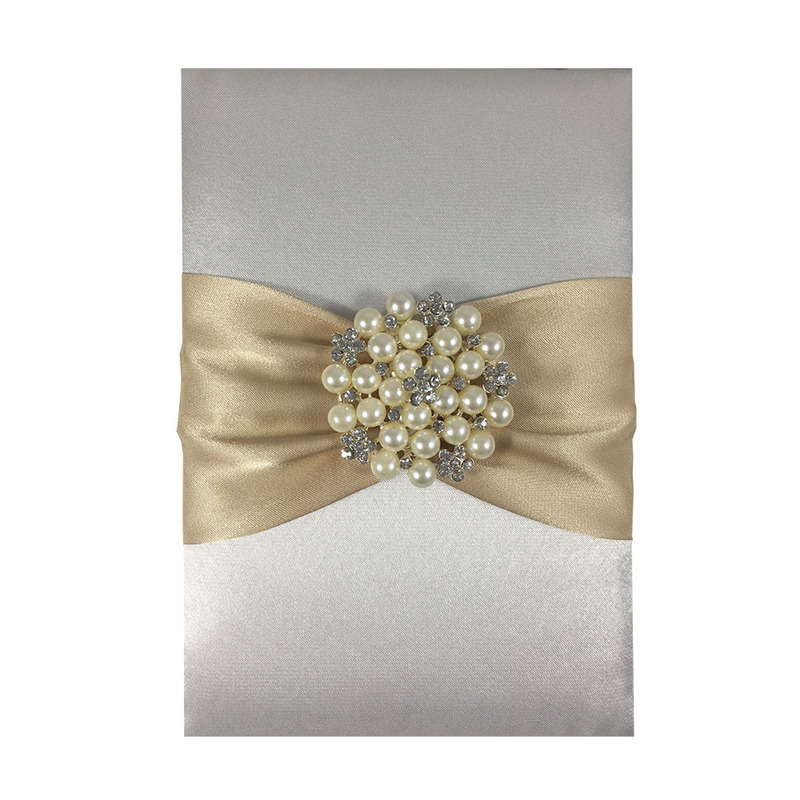 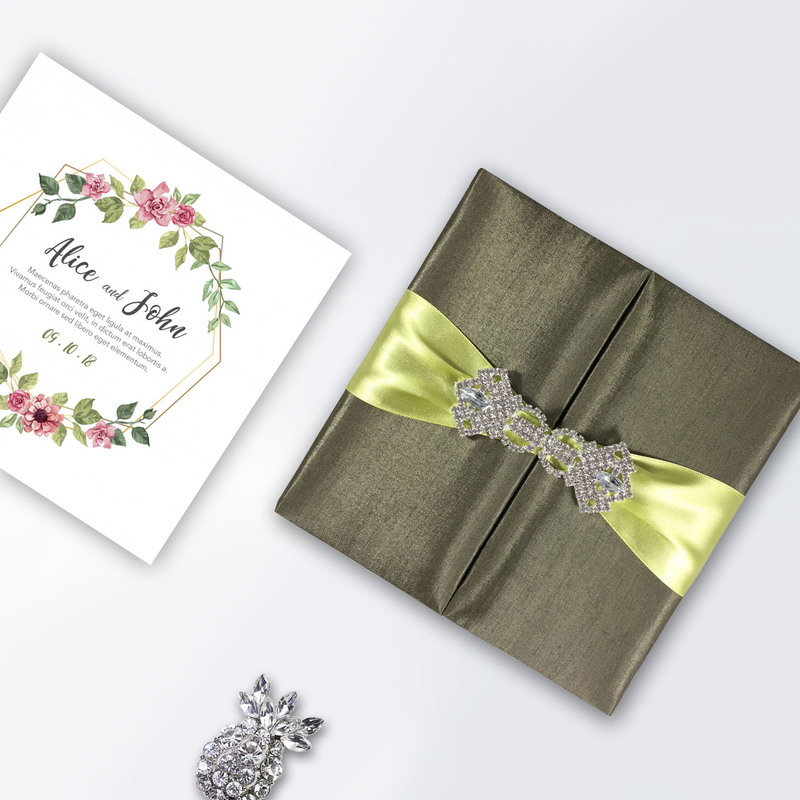 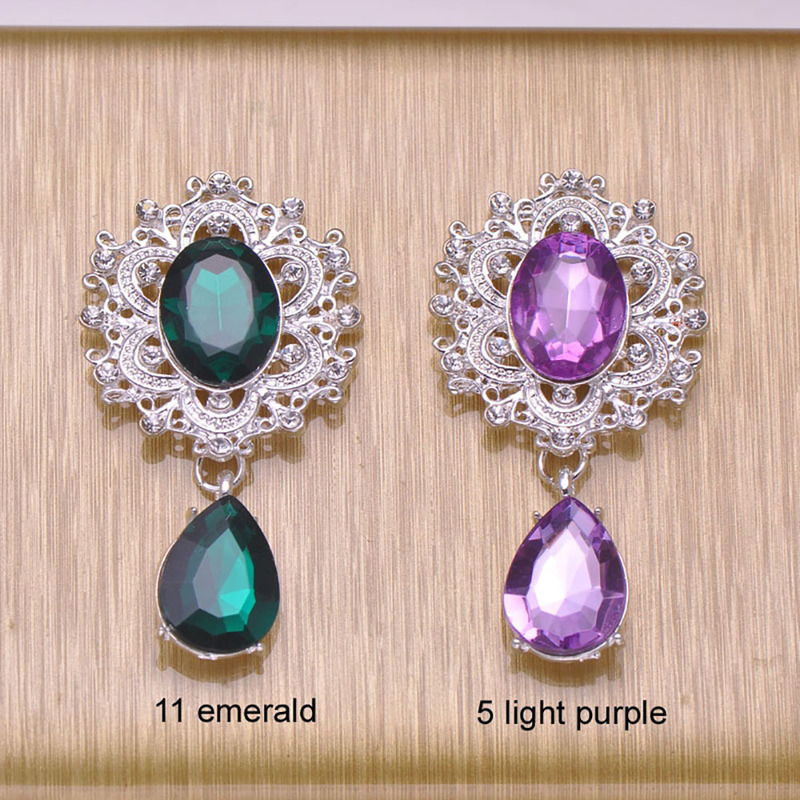 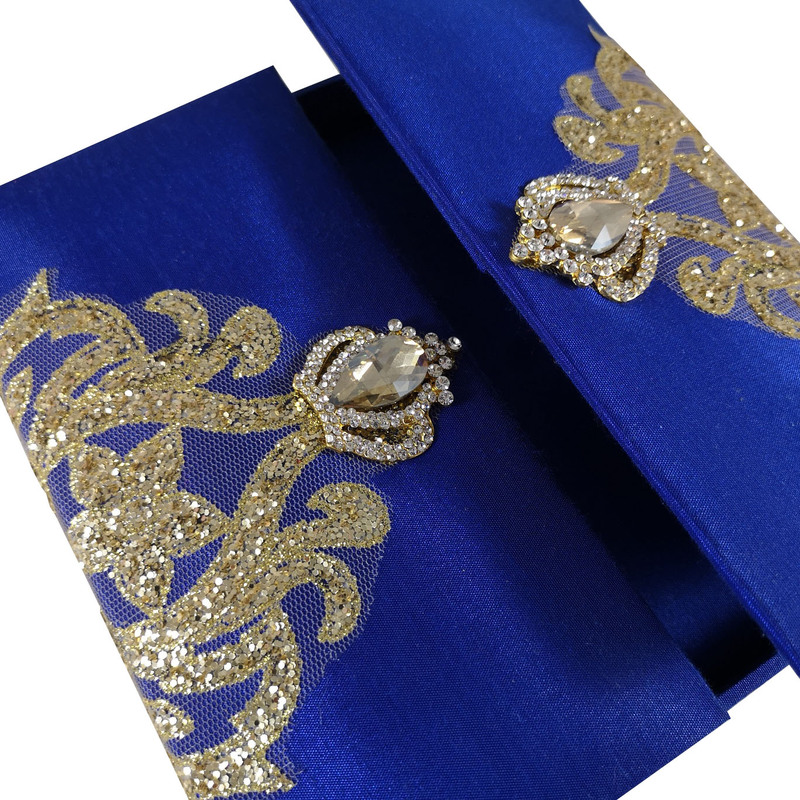 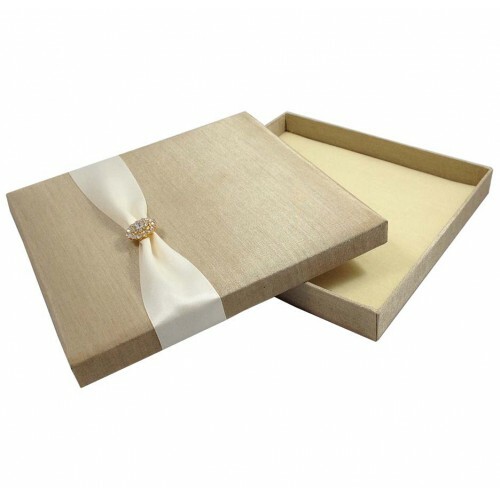 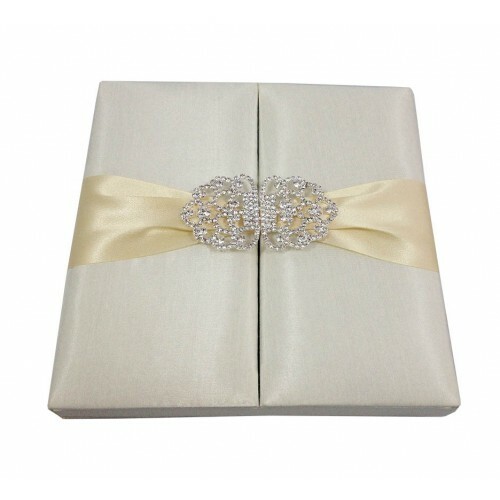 Place your wedding invitation in our luxury wedding invitation box featuring gold plated crystal brooch. 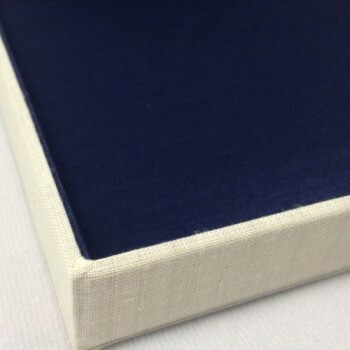 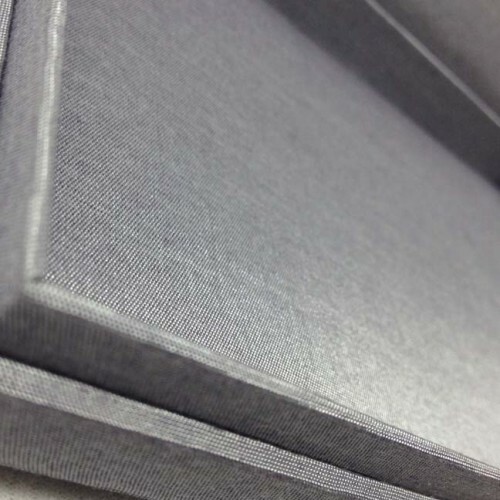 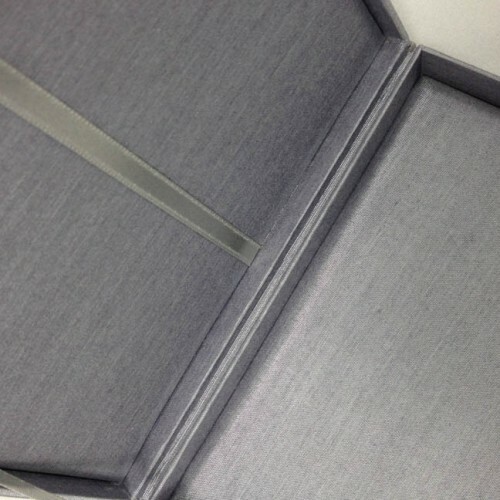 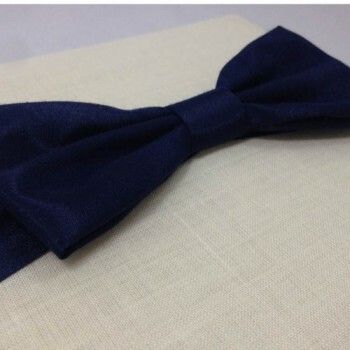 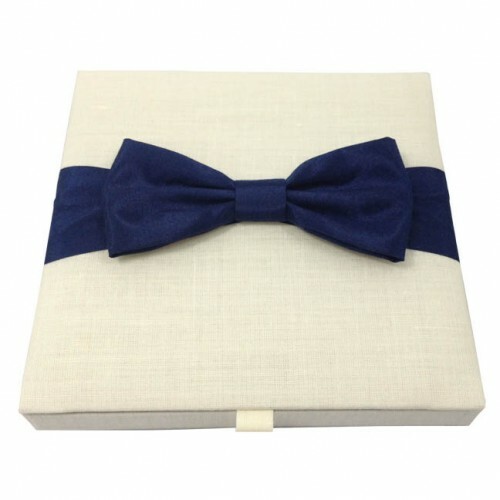 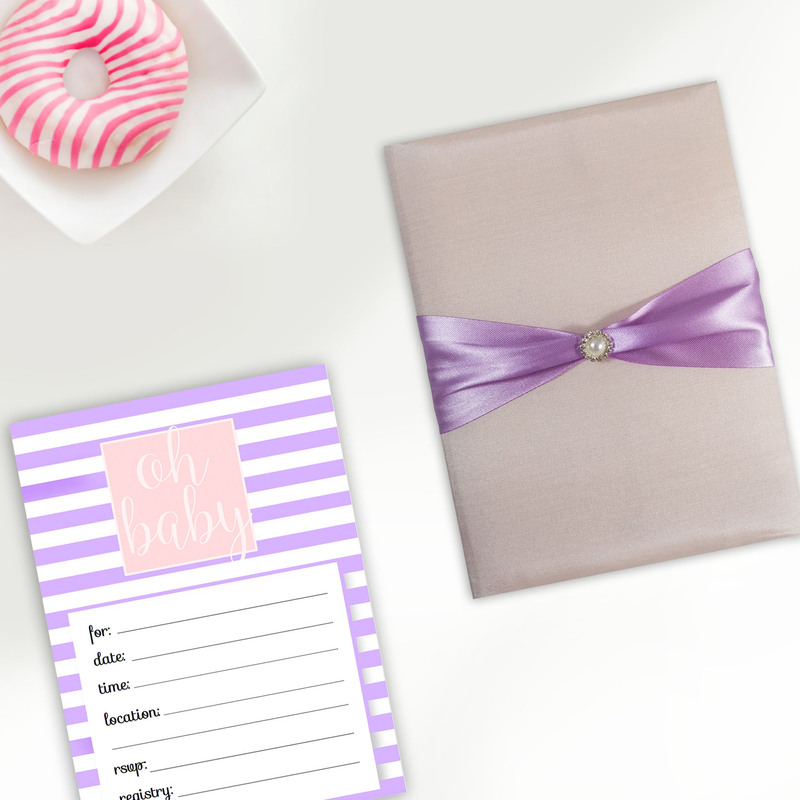 Boxed wedding invitations covered with silk are the hit! Choose between ribbon holder or pocket holder behind the lid inside the box. 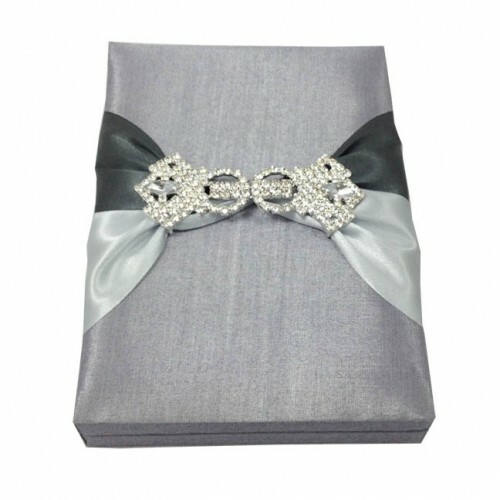 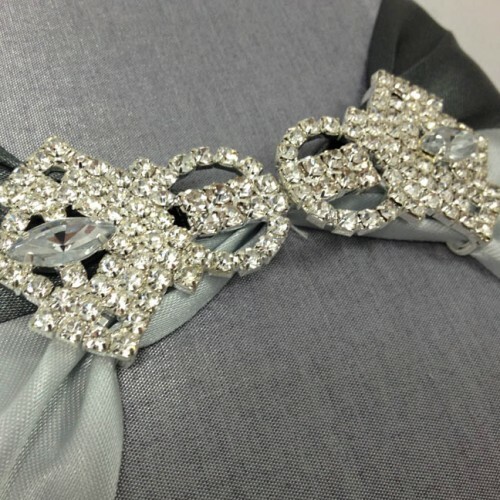 Extra ribbon holder or pockets can be added on the bottom of the box upon request. 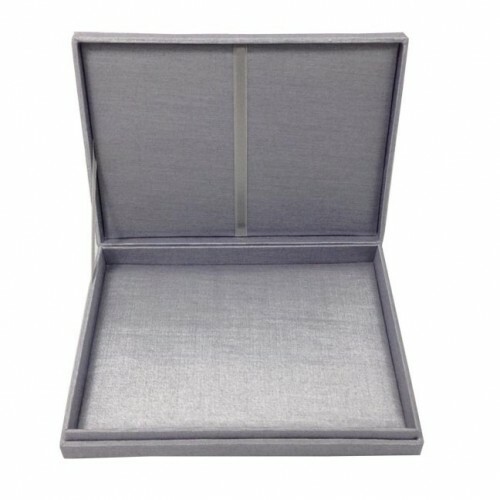 Fine hand-made finish, manufactured in our workshop in Chiang Mai, Thailand. 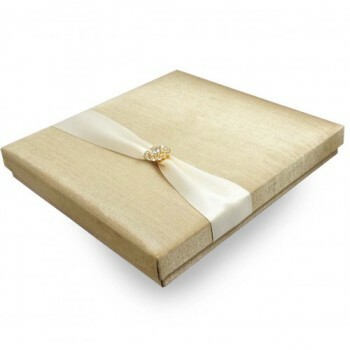 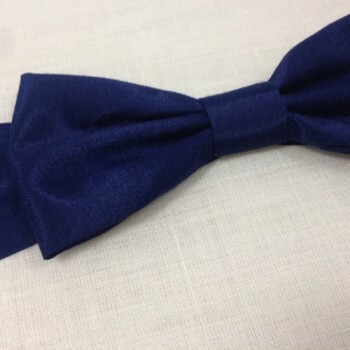 Covered and lined with silk, choose from a range of over 200 color shades. 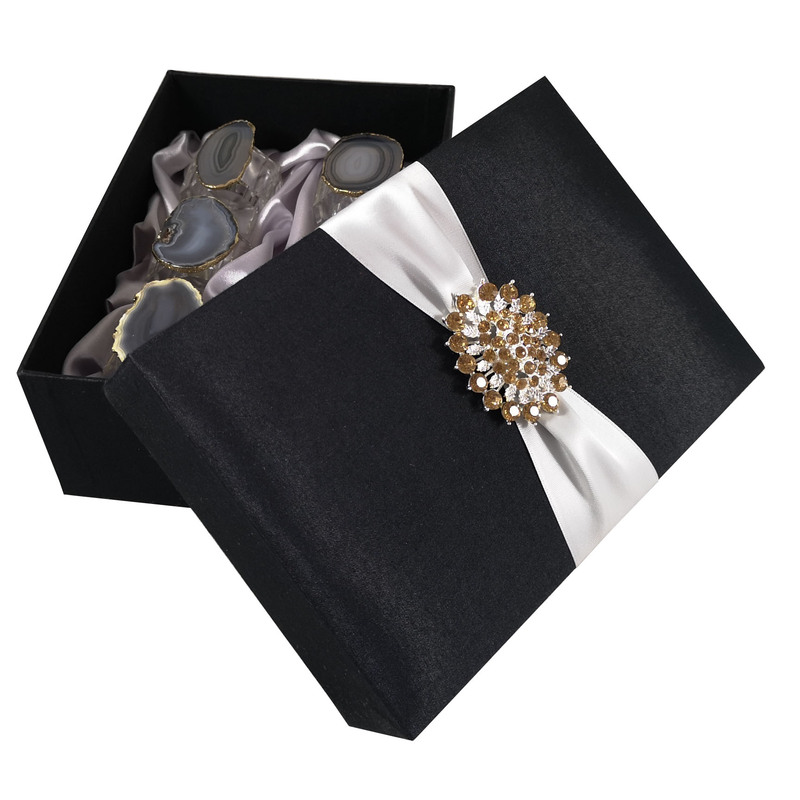 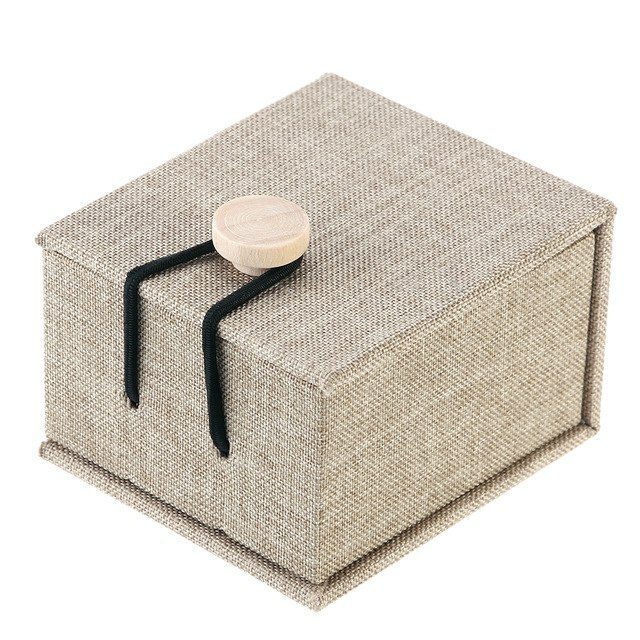 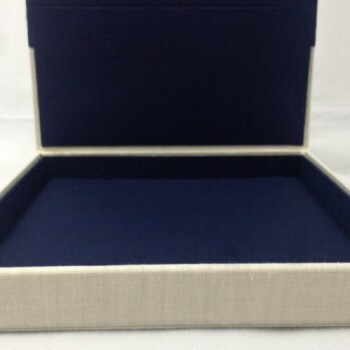 This silk invitation box comes in faux silk, Thai silk, cotton, velvet, suede as well as dupioni silk and card stock. 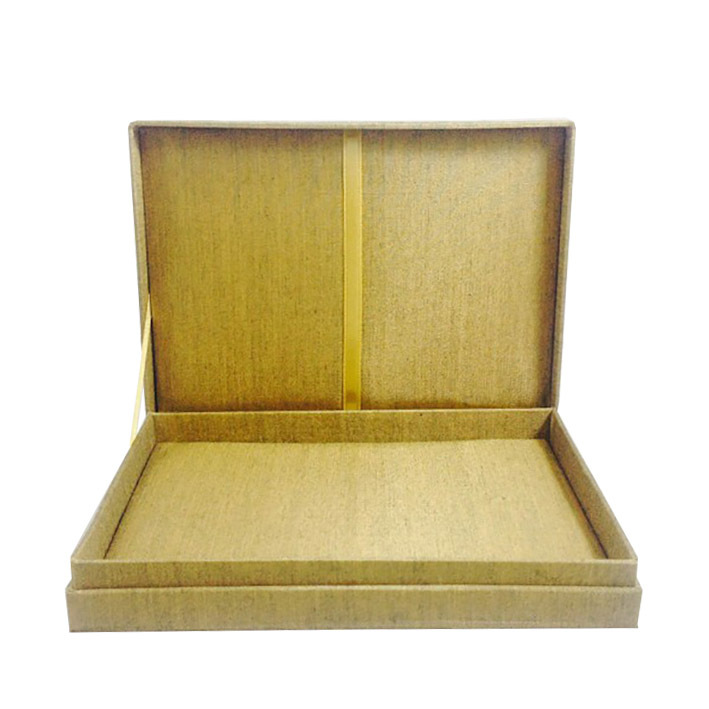 We have been manufacturing and designing quality invitation boxes since 2006. 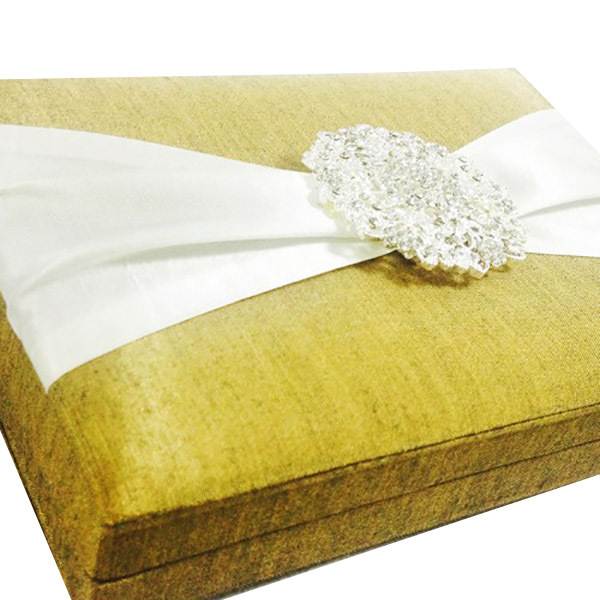 Embellished ivory and gold themed wedding invitation box, covered with silk.